Alexis Argent, Sales Manager at VoIPon Solutions, speaks to Vytas LenKutis, Director of sales for Grandstream at CeBit 2013. 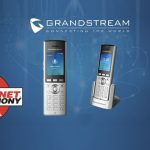 The pair discussed the Grandstream GXP2200 Enterprise Android Phone and what future products can we expect to see from Grandstream. Alexis: Hello, my name is Alexis Argent, I’m the sales manager for VoIPon Solutions in the United Kingdom. I’m joined here with Vytas Lenkutis, Director of sales for Grandstream, we are both here at CeBit 2013, it’s been a pretty good show for me, Vytas perhaps you can me a little bit how your getting on here? Vytas LenKutis, Grandstream: Absolutely, so far it’s been a pretty good event as well, it keeps things pretty busy meeting alot of exciting customers and alot of new opportunities as well, so we are very happy to take this opportunity and we always look forward to the CeBit event. Alexis: That’s great to hear. It so happened that I was in London yesterday and VoIPon sponsored The Best VoIP CPE Equipment for the ITSPA Awards 2013 which we attended in the House of Commons, it so happened Grandstream won the Highly Commend for theGrandstream GXP2200Enterprise Android IP Phone, perhaps you can tell us why you think you won the award? Vytas LenKutis, Grandstream: Well first of all this is the first Android device from Grandstream, it’s a popular unit, touchscreen, up to six SIP lines. 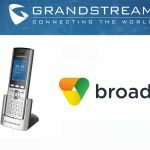 We are working on expansion modules the Grandstream GXP2200 EXT Expansion Module to be available as well, so its going to be the first true enterprise phone from Grandstream that will take a lot of market share for us. Alexis: That’s great to hear, perhaps you can tell us a little bit more about what’s coming up at Grandstream and if there’s any new products? 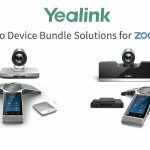 Vytas LenKutis: Well, yes CeBit is the perfect place to present the products and we have a couple of new innovations coming up in the second part of the year. 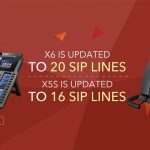 There is going to be a couple of new additions to our GXP IP Phone family with colour LCD’s, four SIP lines and one of the devices will have six SIP accounts. 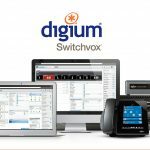 Additionally we are going to launch our Hybrid appliance, that is going to be able to allow smaller third party software/PBX vendors to upload their system into our hardware, so we want to take this opportunity and to excel into this market segment. Alexis: Well it’s been a pleasure to interview you Vytas I really appreciate it, thanks very much. Vytas LenKutis, Grandstream: Absolutely, thank you it’s been a pleasure.